…Zealotry of Guerin: Ascending and Descending (Escher), Sonnet #231. … Sohrab Ahmari: France’s Anti-Terror, Free-Market Socialist - WSJ. 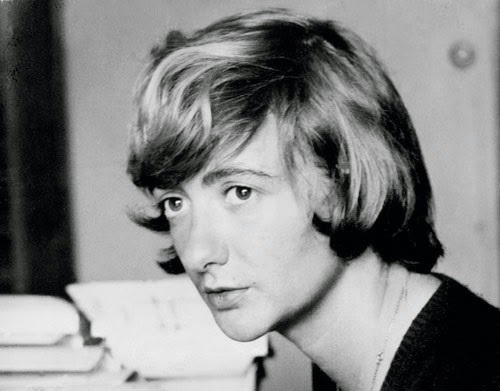 To think that Francoise Sagan published Bonjour Tristesse (1954) when she was eighteen is evidence that some are born to write - and write well. What a tremendous book. I mean it. What a vibrant, knowing, sorrowful book; what an accomplishment. I found myself captivated by Bonjour Tristesse, envious of its insights, rejoicing in its simplicity. Sagan composed her story with such poise, such restraint: she captures what she knows, and the result is a portrait of youth dotted with even parts beauty, sexuality, and confusion. And Sagan's writing: line by line, paragraph by paragraph - she's a master, and Bonjour Tristesse masterful. I can't remember the last time I read a book so in tune with its time, and yet so modest, so reserved. Sagan had me from the start: from her characterization of place, of parenthood and its complexities. I've read a number of books this winter about childhood - novels by Edna O'Brien and Alberto Moravio to name a few - but none compares with Bonjour Tristesse. I tip my hat to Sagan: here's an author who's captured cruelty and compassion with rare readability, and who's written of youth with remarkable prescience. That's a rare combination, indeed. … Stanford’s most illustrious drop-out | The Book Haven. God is love, we are told. But Exodus tells us that God Himself says only that "I Am Who Am." Job discovers, up close and personal, what that means. We were brought here as livestock and we were brought here to work the land. When you actually aren’t engaged and dehumanized, that very kind of consciousness develops in awareness to the land. There is kind of this tradition to western nature poetry that is about objectification and idealization of the landscape. Kind of city boys writing about how lovely it would be to live in the country. There is a large body of African-American poetry that comes from the South. Those are country boys and they themselves or direct relatives were working the land. That mentality shifts everything. I grew up in the American west, hiking in the mountains. 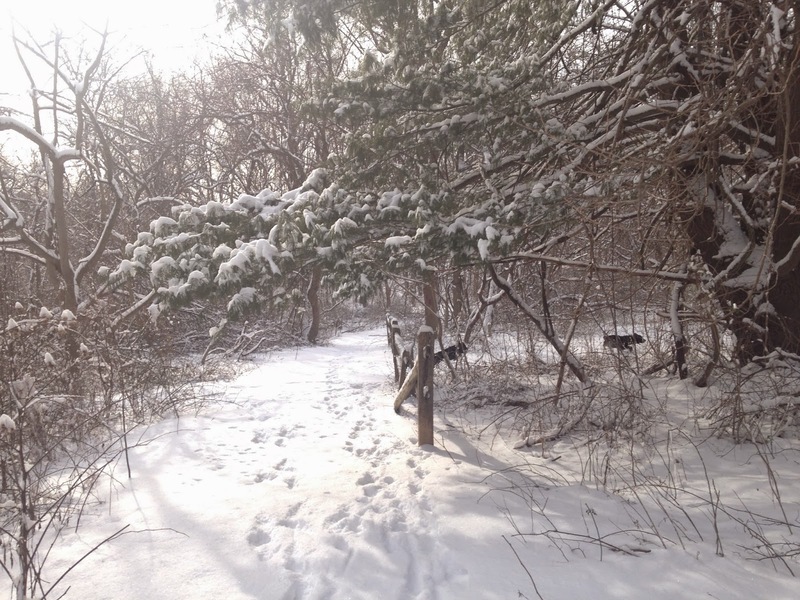 I was deeply engaged in the natural world around me and that was important to me. Understanding the landscape that I walked through and connecting with the landscape was really important to who I was as a human being. I do think another thing to think about when considering African-American poetry is a legacy of being pushed away from the land. There is a lot of memory with being pushed away with loss. There are major periods in African-American literature where writing is engagement in dislocation. Is Simenon’s work dated? Historical? Timeless? I’d argue the second two. I personally like my Paris streets dark and narrow, with glistening cobblestones, the air thick with mist and suspicion. The Montmartre cemetery wall, the same as it was then, hulking with old, lichen-covered stone; I’ve imagined a corpse there more than once. Returning late at night from the last Métro, walking uphill from Place de Clichy, the cinéma marquees dark, the café lights fading as I cross over the cemetery, I hear the thrum of the old Citroën or Renault engine, the shift of gears, and smell the cherry tobacco. (I like to think he smoked cherry tobacco, though I don’t know that it’s ever specified; perhaps there’s a Simenon scholar out there who can tell me.) Flashlights illuminate the corpse sprawled on the damp pavement. Maigret nods to his lieutenant with a, “Take this down,” and we’re off on an investigation. An investigation that leads to the hidden life behind the walls, intrigue in the quartier, and worlds we’d never visit otherwise. … Detectives Beyond Borders: My first book cover as a photographer! CHICAGO – Five Ruth Lilly and Dorothy Sargent Rosenberg Poetry Fellowships in the amount of $25,800 each will be awarded to young U.S. poets between 21 and 31 years of age through a national competition sponsored by the Poetry Foundation, publisher of Poetry magazine. Submissions will be accepted from March 1 through April 30 of this year. The original Ruth Lilly Poetry Fellowships were established in 1989 by Indianapolis philanthropist Ruth Lilly to encourage the further study and writing of poetry. In 2013, the Poetry Foundation received a generous gift from the Dorothy Sargent Rosenberg Memorial Fund to create the Ruth Lilly and Dorothy Sargent Rosenberg Poetry Fellowships, which increased the fellowship amount from $15,000 to $25,800. The Ruth Lilly and Dorothy Sargent Rosenberg Poetry Fellowships honor two extraordinary women and their commitment to poetry and give five young poets a more auspicious start to their careers. The awards are among the largest offered to young poets in the United States. For information on how to submit, visit poetryfoundation.org/foundation/prizes_fellowship. The fellowship winners will be announced in September 2015 and featured in an upcoming issue of Poetry magazine. The 2014 Ruth Lilly and Dorothy Sargent Rosenberg Poetry Fellows are Wendy Xu, Hannah Gamble, Solmaz Sharif, Danez Smith and Ocean Vuong. The Poetry Foundation’s annual awards to poets include the $100,000 Ruth Lilly Poetry Prize, which honors a living U.S. poet whose lifetime accomplishments warrant extraordinary recognition, and the new $7,500 Pegasus Award for Poetry Criticism, first given in 2014, which honors the best book-length works of criticism published in the prior calendar year, including biographies, essay collections and critical editions that consider the subject of poetry or poets. About Poetry MagazineFounded in Chicago by Harriet Monroe in 1912, Poetry is the oldest monthly devoted to verse in the English-speaking world. Monroe’s “Open Door” policy, set forth in Volume 1 of the magazine, remains the most succinct statement of Poetry’s mission: to print the best poetry written today, in whatever style, genre or approach. The magazine established its reputation early by publishing the first important poems of T.S. Eliot, Ezra Pound, Marianne Moore, Wallace Stevens, H.D., William Carlos Williams, Carl Sandburg and other now-classic authors. In succeeding decades it has presented—often for the first time—works by virtually every major contemporary poet. … Winning Poems for January 2015: IBPC. We can only guess at the perversion of logic that has led Gray, who has taught at Harvard among other universities, to bite the hand that feeds him. Still, his critique is not merely wrong, but perniciously so. Ah, but Harvard surely shares Gray's view of the United States. … Snowball Fight Outside Jerusalem Monastery — AccuWeather VideoWall. This is madness, as anybody who has been subjected to team-building or any of the other devices from the shabby book of spells that is management theory will attest. It produces palpably false statements such as this one from Marc Andreessen, a Silicon Valley entrepreneur and investor: “And I can tell you, at least from the last 20 years, if you bet on the side of the optimists, generally you’re right.” In fact, once you take into account the number of optimistic failures, you’d lose every penny. Shortly before I retired, my then-colleague Carrie Rickey was writing a piece about holiday films. The focus of the piece was those moments in such films that elicited tears. I told Carrie that, when watching A Christmas Carol, I often broke down when Scrooge abandoned his free-market principles. Carrie begged me to let her use the quote, and I readily agreed, since it would only enhance my curmudgeonly image, of which I am very protective. I like to think of myself as a realist: God maketh His rain to fall on the just and the unjust alike; get used to it. But having had the opportunity recently to witness severe depression, I can say that the power of negative thinking can prove devastating. Neither a pessimist nor an optimist be. … Beyond Eastrod: a journey through literature: 20 best English-language novels of the 19th c. . . . I'd probably go with Wuthering Heights because of the thrill it gave me when I first read it in my teens. The Moonstone is tempting, but my other choice is not on the list: Thomas Hardy's The Return of the Native. … Now Playing - Underrated Movies We Recommend by Now Playing Podcast — Kickstarter. Oh, wow: he's definitely arrived. From the NYT. … First Known When Lost: "Love, What It Is". … Issa's Untidy Hut: Mark Levy & Dan Franch: Wednesday Haiki. … Anecdotal Evidence: `It Is Rowing Without a Port'. … Why all writers are vain | Books | The Guardian. I'm not sure writers are more vain, proportionately, than the rest of mankind. I remember having lunch with David McCullough, and I don't remember him saying anything about himself. He only wanted to talk about John Adams, about whom he had just written a biography. It was as if Adams had been one of his best friends, and he wanted you to get know him as well as he did. It was one of the pleasantest afternoons of my life. In the hierarchy of forms, literary journalism comes near the bottom. Its practitioners are hacks, whose domain is Grub Street and who produce mere copy. Well, copy must be produced, and we who can produce it often try our best to make it as good as we can. I have found being a hack one of the better ways of earning a living. A masterpiece. Can't find one with English subtitles. … Writing Workshop Is Not Group Therapy | BREVITY's Nonfiction Blog. It might surprise readers to learn that the inspiration for the NYRB Classics came from a very modern idea: the digitization of the library. In the late ‘90s, Frank was working on a different project for the New York Review of Bookscalled the Reader’s Catalog, a massive virtual bookstore that he describes as “a sort of Sears catalog of books.” Its subtitle was “the 40,000 best books in print,” and Frank was involved with annotating and distinguishing which books were interesting. Beware [a software package available to police departments] can send an officer basic information about who lives there, their cell phone numbers, whether they have past convictions and the cars registered to the address. Police have had access to this information before, but Beware makes it available immediately. … Beyond Eastrod: Rising from the Ashes: Dreaming of Jerusalem -- an epiphany and a mission. My own dreams — the few I remember — tend to be appallingly banal, but I have always thought there was something to the ancient belief that they can convey knowledge from, say, another sphere of being. As for Blake, he certainly seems to have thought of himself as a prophet. … Asking My Liver for Forgiveness by Rob Cook | Fox Chase Review. from 12 AM to12 PM, poetry will be everywhere. and we need everyone to participate. we hope to reach 72+ events this year. This is scored for band. No strings attached. ...What Were The Best (And Weirdest) Oscar Moments? … Literature and the moral question - LA Times. The problem with this is that, sometimes, complexity doesn't enter into morality. There is no complexity involved in not taking what is not yours. The moral dimension of literature derives from its fidelity to being. If you accurately and precisely portray things and persons as they are, a mix of the simple, the complex, and all that is in between should become manifest. And you can avoid preaching. … Broadcasters fear falling revenues as viewers switch to on-demand TV - FT.com. … Muslims form 'ring of peace' to protect Oslo synagogue - Telegraph. … I’m Sorry You Scare Me | BREVITY's Nonfiction Blog. … an unfinished version of this post went out yesterday, our fault, not the author’s! Please enjoy the full version. … the old-fashioned school of Oklahoma! family musical appears to be all but gone for good, killed off by the disintegration of the common culture that made it possible in the first place. Now that Broadway-minded songwriters no longer have a universal musical language on which to draw, it isn’t possible to write a show with genuine broad-gauge audience appeal. It says everything about the desperate state of the American musical that the last theatrical song to become an enduringly popular hit, Stephen Sondheim’s “Send in the Clowns,” was written in 1973. ...Language Quiz: Are You on Fleek? … Permission to Fail | BREVITY's Nonfiction Blog. This is an excellent piece, a real work of journalistic art. I think Keen misses his own point in thinking there is a political solution to the problem he has identified. Politics is about power. Contemporary governance is far behind in knowing what is going on precisely because its operatives think almost exclusively in terms of threadbare categories. Hence, it can offer no creative response to any of this, just the usual tax and regulate nostrums. The revision of the food recommendations in this country recently demonstrates how well that has worked out. In short, governments are as much entrapped by all this as we are individually. History is the chronicle of people forming groups and jockeying for power. They always advertise themselves as having the best interests of most people at heart. Most at heart they have their own best interests. The left and right dichotomy is a false disjunction. Communism and fascism were socialist variants. What is important to note about the denizens of the Battery Club is that they may well be changing the rules of political engagement. Government as currently manifested is about as suited for meeting that challenge as a Model T would be in a NASCAR race. … Beyond Eastrod: Rising from the Ashes: The Final Chapter: Pondering Death (Updated and Revised). In a bizarre way, Anthony Burgess's Earthly Powers seems pertinent, since it is about the miracle that may prove decisive in a late Pope canonization, and its strange unintended consequences. … Zealotry of Guerin: The Shell (Odilon Redon), Sonnet #230. … 'Washington's Revolution' revolves around first president. … Graphic novel 'A Bintel Brief' about Jewish life in old New York. … Settling a Penn State graduate's cold case. … Issa's Untidy Hut: The Pocket Haiku: Sam Hamill. I already ordered a copy. ...But only in the beginning. … Yoko Ono: “There were people who really wanted me dead. I don’t know how I survived that.” | The Book Haven. … Paul Davis On Crime: The Whites: Richard Price Has A Big Appetite For The Grey Areas Where Good Stories Live. The Big Sleep? I'm not convinced. Maybe it's because mystery's not my thing. But I think there's more to it than that. 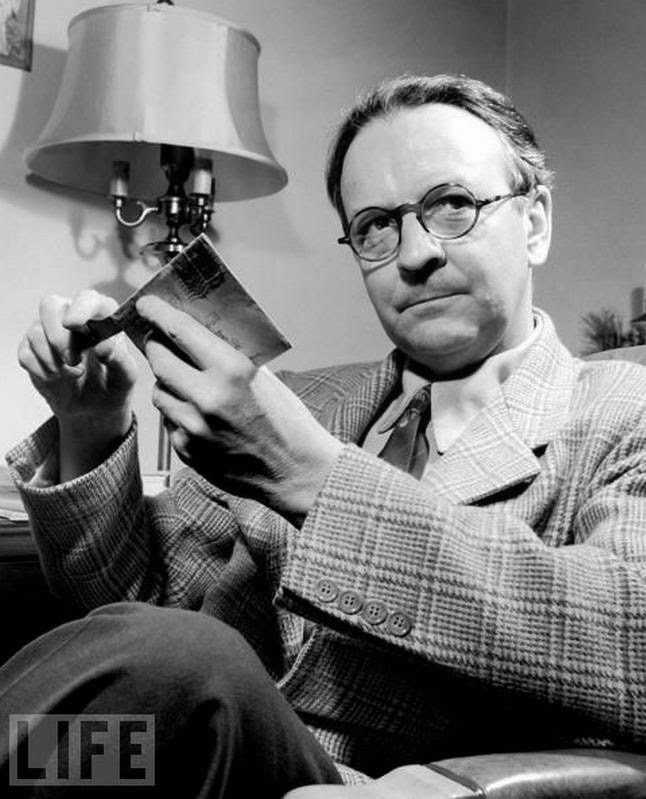 For one, Raymond Chandler's style is almost Baroque. His sentences are overflowing with adjectives, most of them unnecessary. And my sense is he's written this way to fill the space: because without all that superfluous description, The Big Sleep would be a novella, a short story, even. But really, what's wrong with that? The Big Sleep would have been better had it been constructed as a novella: it would have packed a bigger (and more sustained) punch. As a novel, the story drags, and that's largely because of all the meaningless description: of cars, of rain, of women's stockings, of guns. In the end, it all fades away. And there's more: Chandler can weave a story - OK, I'll give him that. But his characters become so painfully cliched: his women are scandalous and provocative, his detectives tough and hard drinking. Maybe they were deliberately two-dimensional, and maybe that was one of Chandler's goals: to invent these types. And so maybe I'm being a little hard. That said, I couldn't relate: to all the names, to all the intricacies, to all the adverbs. This was a vision of American about which Chandler could not, in the end, convience me to care. Sure, maybe the Sternwood daughters: maybe they interested me because of their brazen sexuality (a sexuality that reminded me, actually, of characters developed years later by the Coen brothers). Otherwise, I found the book predictable, which was an odd sensation given its pretense of complexity. Still, there's one great line in this book, and I'll tip my hat to Chandler for it: "..It seemed a little too pat. It had the austere simplicity of fiction rather than the tangled woof of fact." Tangled woof of fact: that's tremendous! … Brevity Issue on Experiences of Gender Now Open for Submissions | BREVITY's Nonfiction Blog. Further proof that there is nothing that can't be effectively embalmed in the academy. … World Cafe Live Philadelphia — Minas presents SYMPHONY IN BOSSA with Big Band and Strings – Tickets – World Cafe Live Philadelphia – Philadelphia, PA – March 14th, 2015. Debbie and I know Orlando and Patricia. This is good music. … A Small Problem | TimeOne. I presume reading by means of cuneiform tablets is different from reading by means of papyrus scrolls (to say nothing of heavier). And reading an illuminated manuscript is certainly different from reading a printed book. But can it be all that different? I bounce back and forth between printed text and electronic text and really don't notice much of a difference. Another piece I used to hear on the radio back in the '50s. … just found this sample of work by my friend Harold Boatrite: Capstone Records:Harold Boatrite - SONATAS & SUITES. … Beyond Eastrod: Willa Cather and Catholic Fiction -- an author worth reading and a site worth visiting . . .
… AttackingtheDemi-Puppets: What Pop Writing Looks Like. Some unfortunate breaks, but worth putting up with. … BBC World Service - The Documentary, Digitising Stalin. See also: The Able Child For Life - Project. There's a Seuss on the Loose! 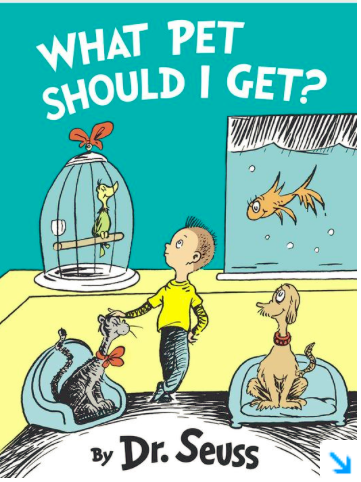 Random House Children's Books said Wednesday it will publish a recently discovered manuscript with Dr. Seuss sketches, called What Pet Should I Get, on July 28.The publisher plans at least two more books based on materials found in 2013 by his widow, Audrey Geisel, and his secretary in the author's home in the ritzy seaside neighborhood of La Jolla in San Diego. … First Known When Lost: Daffodils. This former copy editor wonders why the writer chose to refer to Aldo Manuzio, since he is better known — and, presumably, preferred to be known — by the Latinized version of his name: Aldus Manutius. … Episode 107 – Silence in Translation | Virtual Memories. Seems to me the crisis of man is ongoing. It's what man is about. … Paul Davis On Crime: On Murder And Malware: Michael Mann, The Crime Drama Kingpin. At its heart this book, Gay and Catholic: Accepting My Sexuality, Finding Community, Living My Faith, is an extended effort to assure gay and lesbian people that entering the church will not mean the suppression of their longings and loves. It will, Tushnet promises, mean that those loves will be changed, reshaped, or reconfigured. But it won’t mean that they’ll simply be erased. Borrowing the historic language of vocations, she speaks of “figuring out how God is calling me to love and then pouring myself out into that love.” If gay people fear that becoming a Christian equals a one-way ticket to lifelong loneliness, Tushnet’s book is one long argument to the contrary. Patrick Kurp wrote insightfully about Berryman in this post of some years back: Gratitude and Despair. It is 500 years since the birth of St Teresa of Avila. Her birthday is March 28, but the whole of 2015 is full of commemorative events. [Teresa] took from [Francisco de Osuna] the idea that anyone can undertake mental prayer, contemplative prayer, not just saying prayers verbally. Specifically, Francisco explains that the teacher of prayer is Jesus Christ. No earthly teachers can really tell another how to pray. All they can advise is to be constant in devoting a given time to prayer. ...I had forgotten, till I came across it again while writing this, that the Catechism of the Catholic Church, in discussing prayer, quotes St Teresa: “Contemplative prayer (oración mental) in my opinion is nothing else than a close sharing between friends; it means taking time frequently to be alone with him who we know loves us.” So it is a two-way process. Miami, Florida – February 16, 2015 -- Miami’s Hispanic/Latino population exceeds 65%, yet no Iberoamerican literary and cultural festival exists to celebrate the diversity and contributions of Spanish-speaking/Spanish-writing authors. This March, in partnership with SubUrbano Ediciones and Books & Books, The Betsy-South Beach, named by CNN as one of the world's great literary arts hotels, presents ESCRIBE AQUI 2015 (“Write Here!”), Miami’s first all Iberoamerican literature festival, the only one of its kind in the Southeast, honoring Iberoamerican authors living in the United States and presenting lively events that are FREE and open to the public. Eight world-class authors will be in Miami to present their Spanish-language works at panels, readings, dance performances and more, for guests and the community to experience bi-lingual events in one place at one time. Peter London (choreographer and former principal dancer with the Martha Graham Dance Company will premiere a new work (with the Peter London Dance Company) as part of this festival. He has contemporary choreography and music (some traditional) from Spain, Cuba, Peru, Mexico and Argentina and is adding Puerto Rico, organizing costumes and beginning rehearsals now in preparation for the festival. Exciting stuff! Must go out for a bit. And still alive after shoveling the sidewalk of snow. Now must do a little shopping. … Nigeness: Wolf Hall on TV. … Wolf Hall — Programs. … Beyond Eastrod: America is poised to become part of the Islamic republic -- "Reader's Digest". Why this is not on more concert programs is a mystery to me. The word is a thing of mystery, so volatile that it vanishes almost on the lip, yet so powerful that it decides fates and determines the meaning of existence. A frail structure shaped by fleeting sound, it yet contains the eternal: truth. Words come from within, rising as sounds fashioned by the organs of a man's body, as expressions of his heart and spirit. He utters them, yet he does not create them, for they already existed independently of him. One word is related to another; together they form the great unity of language, that empire of truth-forms in which a man lives. I realize I don’t want any record of my days. I have the kind of brain that erases everything that passes, almost immediately, like that dustpan-and-brush dog in Disney’s Alice in Wonderland sweeping up the path as he progresses along it. I never know what I was doing on what date, or how old I was when this or that happened—and I like it that way. I feel when I am very old and my brain “goes” it won’t feel so very different from the life I live now, in this miasma of non-memory, which, though it infuriates my nearest and dearest, must suit me somehow, as I can’t seem, even by acts of will, to change it. I notice that the coldest days occurred about 100 years apart, and that the two second-coldest days ever happened late in the 20th century. Park empty even of birds.